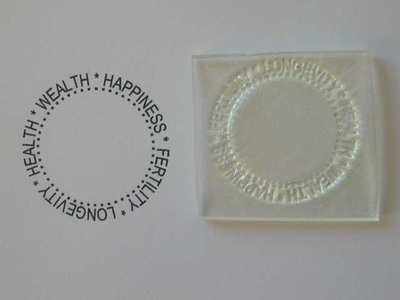 Traditional Five favour blessings of Fertility, Longevity, Health, Wealth and Happiness around this circle stamp. 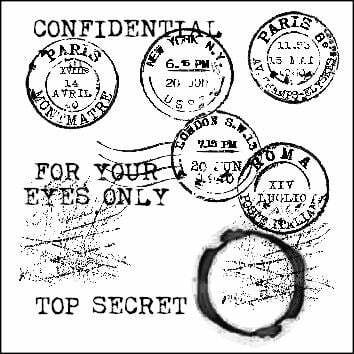 Add a small stamp or embellishment to the blank centre. Stamped area is 3.5cm x 3.5cm. A text stamp which will fit the centre is 'Thank you for sharing our Special Day'.